1. 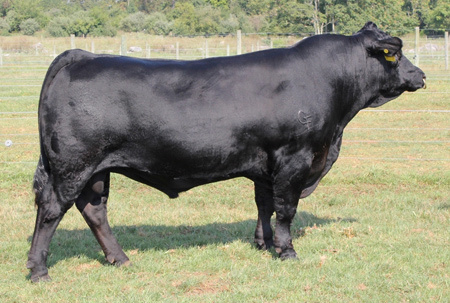 Powerfully built sire with the potential to increase weights on your calves at weaning. 2. He has great length and shape of muscle and adds capacity to his offspring. 3. Homozygous black and Homozygous polled. 4. A great young sire with a future.